1950′s Copenhagen Chair – Special!!! The front and seat are upholstered in soft aged leather and the bulk of the body is encased in Spitfire-esque polished aluminum. It’s the only piece of furniture we don’t mind that we have to buff. 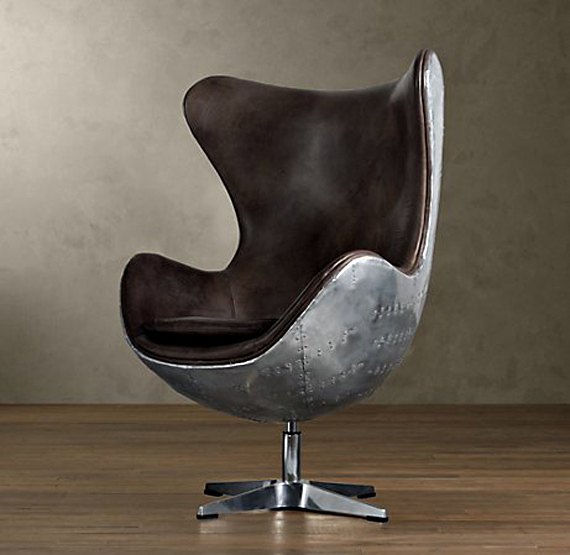 The unbridled creativity of mid-century modern Danish design finds new expression in our Copenhagen chair, which is upholstered in supple aged leather on the front and clad in sleek, polished aluminum on the back.